Take a break from the city and head to Timberline Lodge and Ski Area and Sokol Blosser Winery. Change things up with these side-trips from Portland: Willamette Valley Vineyards (in Turner), Carlton Winemakers Studio (in Carlton) and Mt. Hood National Forest (in Welches). There's much more to do: contemplate the long history of Columbia River Highway, take in nature's colorful creations at International Rose Test Garden, and look for gifts at Powell's City of Books. To see other places to visit, reviews, traveler tips, and more tourist information, refer to the Portland vacation maker tool . Vancouver, Canada to Portland is an approximately 4.5-hour flight. You can also do a combination of shuttle and flight; or drive. Traveling from Vancouver in October, you will find days in Portland are a bit warmer (22°C), and nights are about the same (11°C). Wrap up your sightseeing on the 5th (Sat) to allow time to travel to San Francisco. Visit Alcatraz Island and Presidio of San Francisco for their historical value. Visit Marshall’s Beach and China Beach for some beach relaxation. Explore San Francisco's surroundings by going to B Cellars Vineyards and Winery (in Oakville), Pride Mountain Vineyards (in St. Helena) and Gracianna Winery (in Healdsburg). The adventure continues: take a leisurely stroll along Fisherman's Wharf, take in the views from Golden Gate Bridge, appreciate the extensive heritage of The Embarcadero, and take your sightseeing to a higher altitude at Twin Peaks. To see ratings, reviews, other places to visit, and other tourist information, refer to the San Francisco online trip itinerary maker . Fly from Portland to San Francisco in 4 hours. Alternatively, you can do a combination of flight and train; or drive. In October, San Francisco is somewhat warmer than Portland - with highs of 26°C and lows of 15°C. Wrap up your sightseeing on the 10th (Thu) early enough to drive to Carmel. Carmel-by-the-Sea, often simply called Carmel, is a city in Monterey County, California, United States, founded in 1902 and incorporated on October 31, 1916. 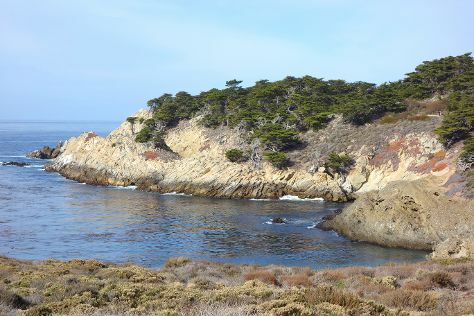 Start off your visit on the 11th (Fri): admire the majestic nature at Asilomar State Beach and then immerse yourself in nature at Point Lobos. For ratings, maps, more things to do, and more tourist information, read our Carmel vacation planner . Traveling by car from San Francisco to Carmel takes 2.5 hours. Alternatively, you can fly; or take a bus. In October in Carmel, expect temperatures between 24°C during the day and 13°C at night. Finish up your sightseeing early on the 11th (Fri) so you can go by car to Yosemite National Park. 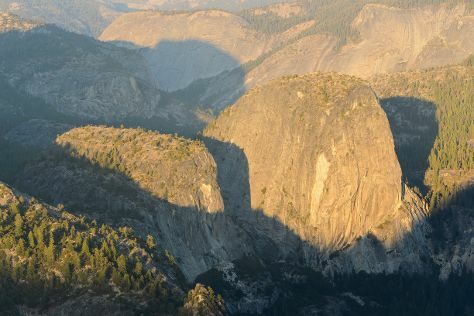 Step out of the city life by going to Glacier Point and Sentinel Dome. Spend the 16th (Wed) exploring nature at Elizabeth Lake, Yosemite National Park. There's still lots to do: take in the dramatic natural features at Taft Point, admire the sheer force of Vernal Fall, hike along Mariposa Grove of Giant Sequoias, and take your sightseeing to a higher altitude at Cathedral Beach Picnic Area. To see traveler tips, more things to do, maps, and more tourist information, read our Yosemite National Park holiday planning website . You can drive from Carmel to Yosemite National Park in 5 hours. Other options are to do a combination of flight and car; or do a combination of shuttle, flight, and car. Traveling from Carmel in October, you can expect nighttime temperatures to be much colder in Yosemite National Park, with lows of -2°C. Wrap up your sightseeing on the 16th (Wed) early enough to travel to Los Angeles. Your inner history buff will appreciate El Pueblo de Los Angeles and Hollywood Walk of Fame. We've included these beaches for you: Venice Beach and Boardwalk and Nicholas Canyon Beach. Step out of Los Angeles to go to Anaheim and see Disneyland Park, which is approximately 30 minutes away. The adventure continues: enjoy the sand and surf at Will Rogers State Beach, don't miss a visit to Stahl House, tour the pleasant surroundings at Playa Del Rey Beach, and immerse yourself in nature at Santa Monica State Beach. For where to stay, other places to visit, reviews, and tourist information, go to the Los Angeles trip planner . Getting from Yosemite National Park to Los Angeles by combination of car and flight takes about 4.5 hours. Other options: drive; or do a combination of bus and flight. When traveling from Yosemite National Park in October, plan for somewhat warmer days and much warmer nights in Los Angeles: temperatures range from 32°C by day to 19°C at night. Cap off your sightseeing on the 20th (Sun) early enough to go by car to San Diego. We've included these beaches for you: La Jolla Cove and Mission Beach Park. 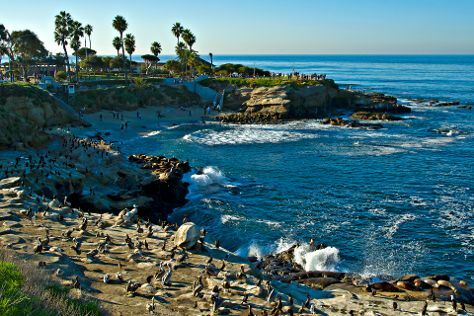 Escape the urban bustle at San Diego Zoo and Children's Pool. There's still lots to do: admire the majestic nature at Torrey Pines State Natural Reserve and stroll through Black's Beach. For reviews, more things to do, and tourist information, go to the San Diego trip planner . You can drive from Los Angeles to San Diego in 2.5 hours. Alternatively, you can take a bus; or fly. In October in San Diego, expect temperatures between 30°C during the day and 20°C at night. Cap off your sightseeing on the 23rd (Wed) early enough to travel to Las Vegas. Get outdoors at Red Rock Canyon National Conservation Area and Valley of Fire State Park. When in Las Vegas, make a side trip to see Hoover Dam in Boulder City, approximately 50 minutes away. And it doesn't end there: get a taste of the local shopping with The Strip, examine the collection at The Mob Museum, admire the local landmark of Bellagio Fountains, and take in nature's colorful creations at Bellagio Conservatory & Botanical Gardens. To see more things to do, ratings, where to stay, and more tourist information, read our Las Vegas itinerary planner . You can fly from San Diego to Las Vegas in 3.5 hours. Alternatively, you can drive; or take a bus. In October, daily temperatures in Las Vegas can reach 32°C, while at night they dip to 18°C. 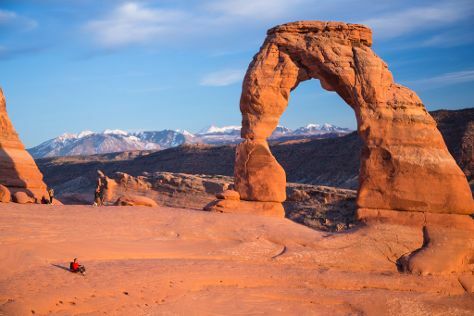 Finish your sightseeing early on the 27th (Sun) so you can travel to Moab. Start off your visit on the 28th (Mon): take in the awesome beauty at Arches National Park. To find other places to visit, photos, where to stay, and tourist information, read our Moab trip itinerary tool . Getting from Las Vegas to Moab by combination of flight and car takes about 5 hours. Other options: drive; or fly. The time zone difference moving from Pacific Standard Time (PST) to Mountain Standard Time (MST) is 1 hour. Traveling from Las Vegas in October, expect Moab to be a bit cooler, temps between 25°C and 6°C. 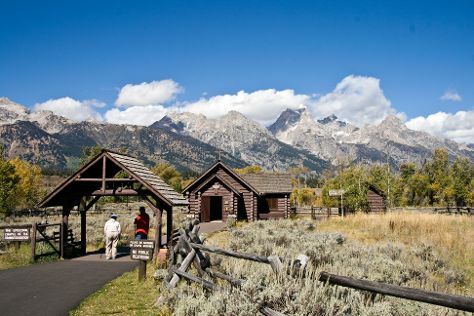 Finish your sightseeing early on the 28th (Mon) so you can travel to Jackson Hole. Get in touch with nature at Grand Teton and Leigh Lake. There's much more to do: admire all the interesting features of 42-mile Scenic Loop Drive, appreciate the views at Amphitheater Lake, hike along Cascade Canyon Trail, and take in the awesome beauty at Cathedral Group. To see other places to visit, maps, and other tourist information, go to the Jackson Hole trip planning site . You can do a combination of car and flight from Moab to Jackson Hole in 6 hours. Another option is to drive. Traveling from Moab in October, expect Jackson Hole to be a bit cooler, temps between 15°C and -2°C. Finish up your sightseeing early on the 31st (Thu) so you can go by car to Yellowstone National Park. Get in touch with nature at Mount Washburn and Grand Canyon of the Yellowstone. 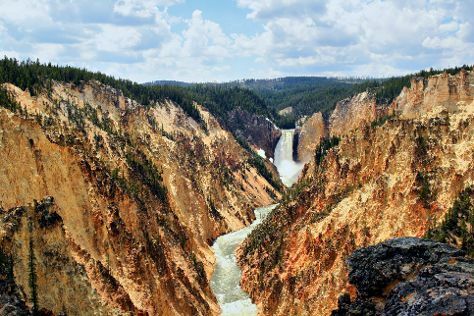 Spend the 2nd (Sat) exploring nature at Yellowstone National Park. The adventure continues: identify plant and animal life at Hayden Valley, take in the natural beauty of Old Faithful, explore the striking landscape at Lower Geyser Basin, and take some stellar pictures from Lookout Point. To see traveler tips, photos, and tourist information, go to the Yellowstone National Park holiday maker app . You can drive from Jackson Hole to Yellowstone National Park in 2 hours. Traveling from Jackson Hole in October, expect nights in Yellowstone National Park to be about the same, around -4°C, while days are a bit cooler, around 9°C. 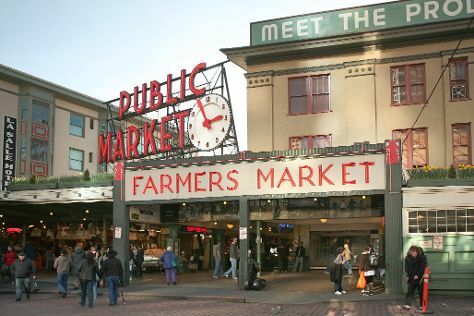 Wrap up your sightseeing on the 6th (Wed) early enough to travel to Seattle. On the 7th (Thu), kick back and relax at Alki Beach, take in the exciting artwork at Chihuly Garden and Glass, then make a trip to Space Needle, and finally take a stroll through Pike Place Market. For traveler tips, maps, reviews, and more tourist information, use the Seattle travel app . Do a combination of car and flight from Yellowstone National Park to Seattle in 5.5 hours. Alternatively, you can do a combination of bus, shuttle, and flight; or drive. The time zone difference moving from Mountain Standard Time to Pacific Standard Time is minus 1 hour. When traveling from Yellowstone National Park in November, plan for somewhat warmer days in Seattle, with highs around 13°C, while nights are much warmer with lows around 6°C. Cap off your sightseeing on the 7th (Thu) early enough to go by car back home.